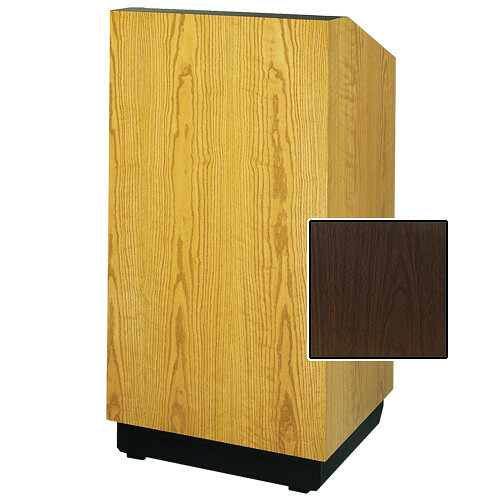 The Da-Lite Lexington Special Needs Adjustable Floor Lectern is a 42 x 30 x 38-46" floor lectern. It has an LED digital clock/timer with countdown capability. All the controls have Braille identification, and it has an over-size reading surface that holds a three ring binder. Heavy duty industrial casters provide easy mobility. The height can be adjusted by using the electric height adjustment switch. This lectern is for 220V electrical systems only.